Between 2009 and 2016 Dorothea Berkhout and David Listokin of the Edward J. Bloustein School of Planning and Public Policy conducted 24 oral history interviews related to the redevelopment of the City of New Brunswick. Interviewees included leaders from Johnson & Johnson, New Brunswick Development Corporation, New Brunswick Tomorrow, New Brunswick Cultural Center, New Brunswick hospitals, Rutgers University, current and former mayors, and community leaders. The discussions addressed a wide range of issues related to social, demographic, cultural, economic, and physical changes to the city starting in the 1970s and continuing to the present. 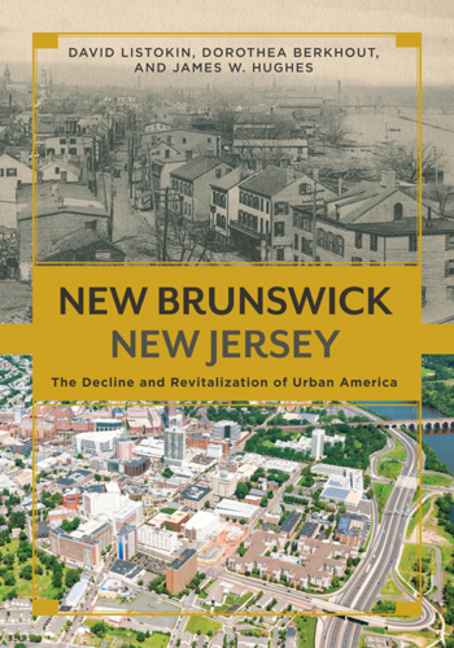 In 2016, Berkhout, Listokin and James W. Hughes, Dean of the Edward J. Bloustein School of Planning and Public Policy, published New Brunswick, New Jersey: The Decline and Revitalization of Urban America (Rutgers University Press). The Rutgers Oral History Archives has been proud to host the interviews of the City of New Brunswick Redevelopment Oral History Program since 2017. Click on the interviewee names below to view the video interviews and read interview transcripts and summaries.